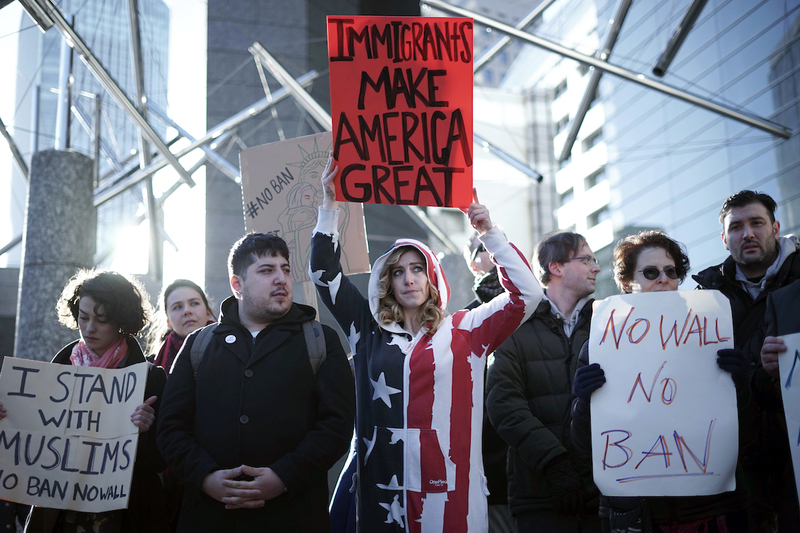 The American Civil Liberties Union has raised more than $24 million in online donations since Saturday, the day after President Donald Trump issued his executive order on immigration, according to the New York Times. At least 356,306 individual donors contributed. Other organizations have also received donations, including the National Immigration Law Center and International Rescue Committee. If you’re donating to these organizations — or any other organizations for that matter (like ones that help puppies!) — take a minute to make sure you know what you’re doing. If you have the money to make donations — or even if you don’t, but feel strongly about a certain cause — be sure you understand where your money is going and what it means for your personal finances. Here are a few tips to jumpstart your Inspector-Gadget skills. 1. Be sure you’re donating to a legitimate organization. I constantly hear that such-and-such organization isn’t using money properly. Or that it’s funding multi-millionaires. If you’re unsure — or even if you’re sure — it never hurts to check out the charity’s profile on a watchdog site such as Charity Watch. You can search the organization and find its address, mission statement and total expenses vs. total contributions. It also gives the organization a grade. For example, the American Civil Liberties Union received an A-. 2. Take note of the group’s nonprofit status for your taxes. I know everyone’s excited about 2017’s fast-approaching tax season. When you make a donation, check to see if it’s tax deductible. This is important to some donors because the money donated can be deducted from their taxable income, meaning it won’t be taxed. And that’s a good thing. In order to determine the status of your monetary contribution, look for the charity’s tax status. ACLU’s charity status is 501(c)(4). Take that information and head over Charity Navigator, which has a long list of types of nonprofits and tells you, very clearly, if your contribution is deductible. It says a 501(c)(4) donation is generally not tax deductible. If you’re in the business of getting a tax deduction, you’ll want to look for a 501(c)(3) organization before you make your donation. The IRS has a great resource for those of you who are looking to deduct your charitable donations. Read up! 3. Know where your money is actually going. You don’t want your hard-earned money to be going into someone else’s pockets — unless that’s who you donated it to. Check the organization’s spending ratio. Finding the spending ratio super simple. Go to Charity Watch and, again, search for the organization. Scroll down to find, under “Joint Costs,” the program percentage. At the ACLU, the program percentage is 83%. This “reflects the percent of total expenses a charity spent on its programs in the year analyzed,” Charity Watch writes. You can assume the remaining 17% was then spent on overhead (fundraising, management, etc.). It also never hurts to simply call the organization and ask. Your Turn: Which charity is worth your hoarded pennies? Carson Kohler (@CarsonKohler) is a junior writer at The Penny Hoarder. Those animal cruelty commercials — the ones featuring Sarah McLachlan’s angelic voice — make her tear up.